Home » Sala apartment and villa » Special promotion for the Sun Avenue Apartment customers! Special promotion for the Sun Avenue Apartment customers! 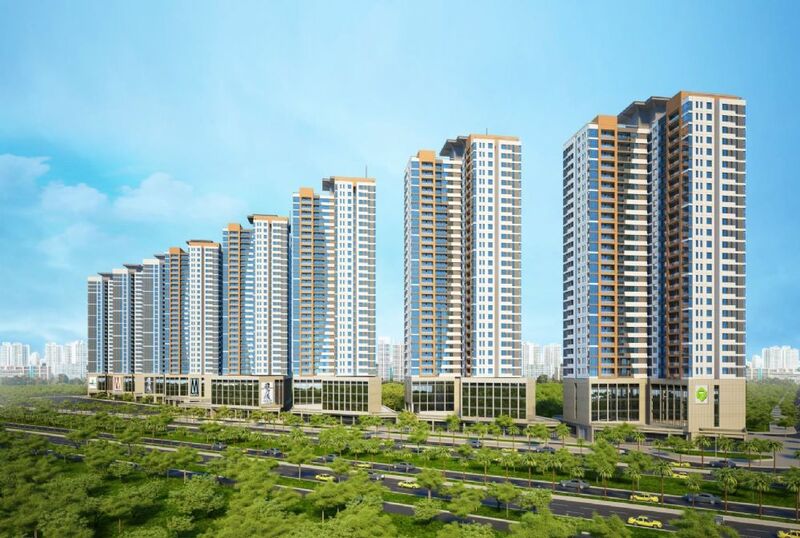 People who buy The Sun Avenue apartment of Novaland developer from the price 1.9 billion VND are given special offer, including 12% discount when apply the special schedule payment and 70 million VND kitchen cabinet package. Besides, for those who have permanent address, confirmation for temporary residence, or stable work in District 1 could have 1% more in price discount. We also give The Sun Avenue Apartment buyers from North 1% contract value, included roundtrip airfare ticket for sightseeing project. The Sun Avenue Project has 500m frontage stretching on Mai Chi Tho Street, located in Thu Thiem area, District 2, HCMC (where Sala Premium Residence is in). The architecture partner of Novaland and Junglim Company group has collaborated to complete the design outline for complex apartment, commercial, The Sun Avenue service in a green space, ventilation, suitable for both residential and business needs of residents. With modern design ideas, The Sun Avenue Apartment is so much harmonizing for the new Thu Thiem urban area. The Sun Avenue apartment are clearly divided into functional areas. So that accommodation will separate, ventilated and vision is not restricted by buildings and allow every resident can see the Saigon River. The building stretches over 500m straight line along the front part of trade under the podium and the dome with advanced technology will be linked to form an inter-trade zones. This formed a food court, entertainment, bustling shopping modeled Clarke Quay area of Singapore. Residents here can be both homeowners and commercial owner for business or for rent. In addition, within the framework of a special program “The first 100 apartments welcome Overseas and foreigners” by the Group Novaland deployed, customers are overseas Vietnamese and foreigners to buy apartments The Sun Avenue was offered a lease commitments package 8% of the contract value in the first year, gift package management services in interior finishing stage and return air tickets to visit the project. Besides, there have committed to complete the purchase price plus interest incurred if within one month from the time the customer has not satisfied the product. >> New property law in Vietnam foreign investor should know!